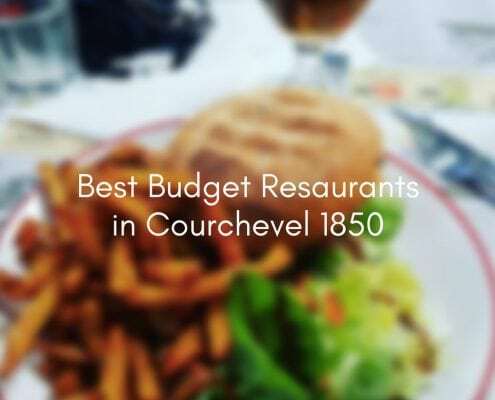 While Courchevel 1850 is infamous for its high quality gastronomy and the most Michelin star restaurants per square mile in the world (! ), there are still plenty of great places to dine without breaking the bank. Here are a few of our favourite places for every budget, and any hour of the day! 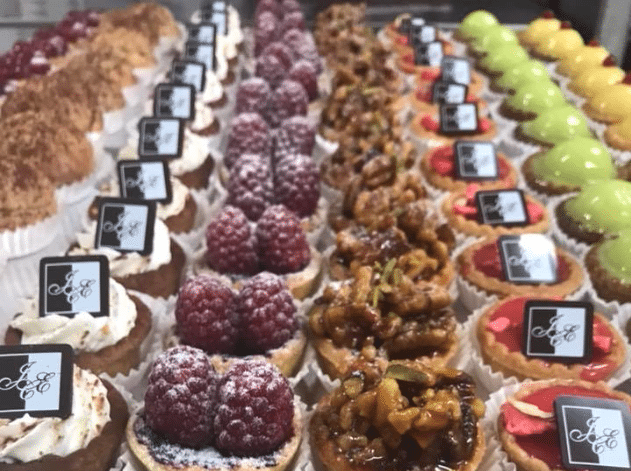 Conveniently located in the Forum across from the Croisette, au Pain D’Antan Gandy 1850 is your one-stop shop for an obligatory quick caffeine and pain au chocolat boost before you hit the slopes. With 2.40€ espresso and 1.45€ pain au chocolats so good you’ll have to go for two. The Gandy family has been consistently providing a delish range of breads, pastries, tartes, and sandwiches for over 50 years! On powder days when you can’t be bothered to stop and give up those fresh tracks; or bluebird days when you want to picnic on the slope, the Sherpa can hook you up with hearty 2€ sandwiches for a great on the go lunch! The Sherpa is located on the top floor of the Forum. In contrast, for those chilly days when you want a cozy atmosphere to warm up and fill up with some fine dining, Le Chabotté is the place to go for a three course meal at 26€ for lunch and 30€ for dinner. If you fancy live music, come back for dinner for their musical nights on Wednesday, Friday and Saturday evening (pop, rock, jazz). 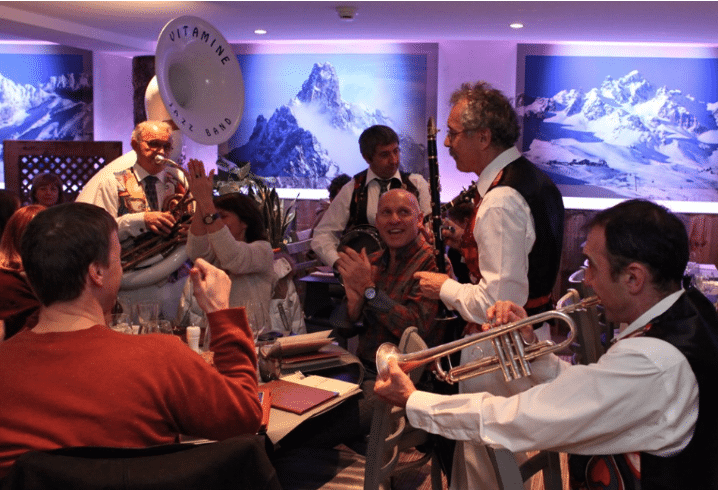 You can easily access Le Chabotté by the slopes on Boulevard du Chabichou. Another great option for a sit down lunch is Neuf Neuf, with delicious Plat du Jours for only 9.99€. With delicious tartares, burgers, pastas, selection of local cheeses, and kids menu, there is something to please everyone! 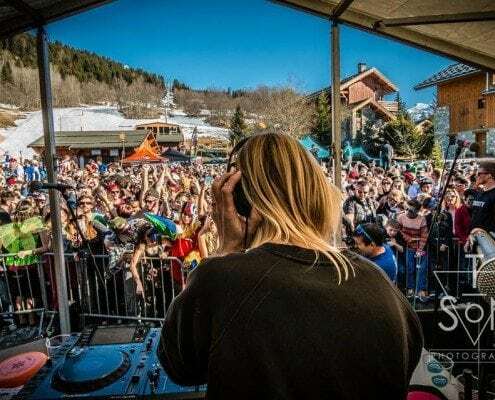 Part concept store, part bar, La Luge is your spot for a lively apres with 2€ demis and burgers for your post-ski munchies. Stay around for cocktails until the DJ kicks off! 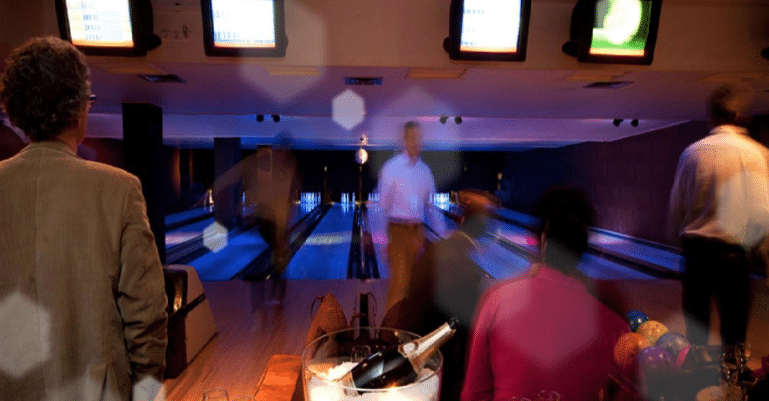 Switch up your usual aprés at with drinks and snacks at Le Bowling 3000. Open everyday from 11-3am, with 8 alleys and an arcade room makes it great for groups of all sizes. Stick around until 22:30 for when things get really lively and the DJ starts. La Grange a Pizza is a Pizzeria snack bar, located in the heart of Courchevel, nonstop opened from breakfast at 8am until 11pm! They have an extensive menu of over 30 pizzas ranging from 10 to 20€. For any non pizza lovers (if that is even possible???) they also have a daily choice of 3 starters, 3 main courses and 3 desserts. Jacks Burger has a delish variety of burgers to curb your burger craving. 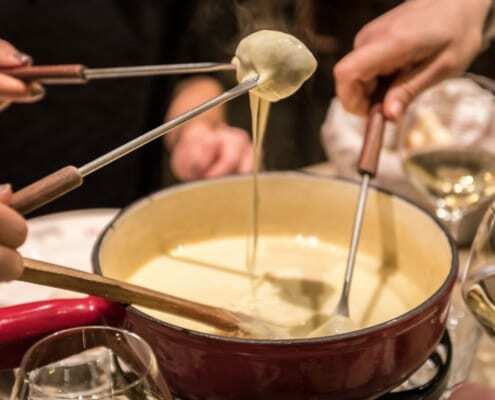 Ranging from 8-15€, offering everyone’s favourite French toppings of raclette, duck fois gras and camembert… yum! 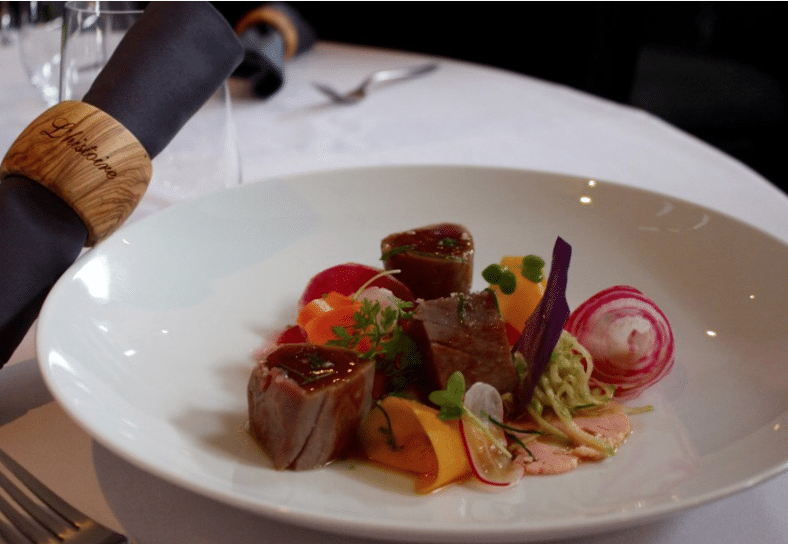 For a fine dining experience without compromising on price, L’histoire prides itself on their high quality and creative bistronomique food in their friendly and cozy atmosphere. For lunch they offer a deal of 18€ for a starter & main or main & dessert. In the evening they have an extensive menu, with a personal favourite of the seared tuna for a starter, and the lamb (36€) for the main. For even more intimacy, they have a wine cellar table where you can savour the chef’s creations in a unique setting with their finest wines. 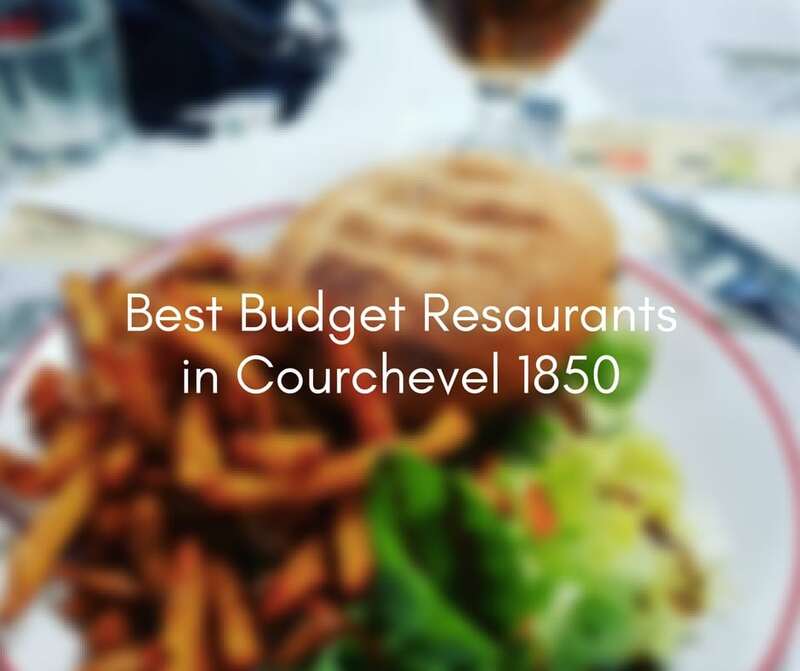 Have any other fab places to dine in 1850 on a budget? Let us know if we’ve left anything yummy off the list!